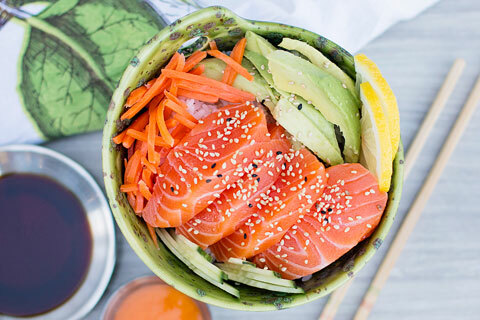 Sushi is delicious and beautiful – but how easy is it to make? 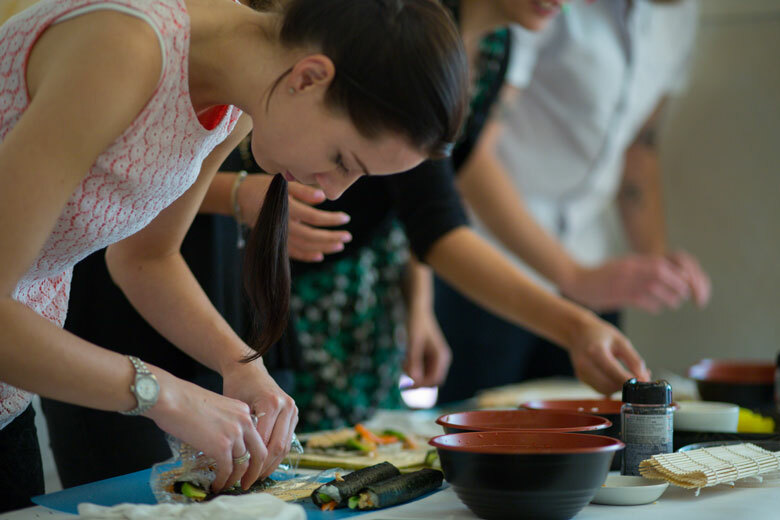 Tempted to find out if she could manage a maki roll, Rachel Walker spends a morning at Reiko Hashimoto’s masterclass. It’s Sunday morning and I’m standing in front of a sushi workstation: neatly laid out before me is a bamboo mat, sheets of nori dried seaweed and bowls of smoked mackerel and crab sticks. 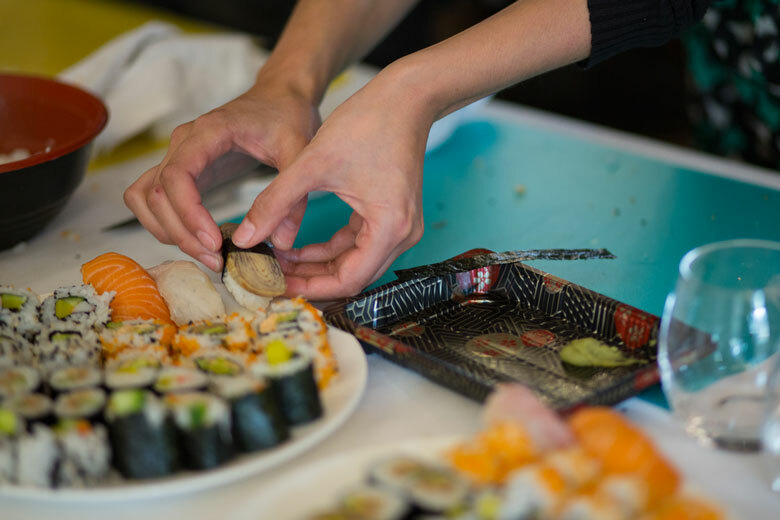 It’s out with the roast and in with the fish (much of it raw) at Reiko Hashimoto’s sushi masterclass. Reiko is an expert in Japanese cooking and one of its foremost teachers. 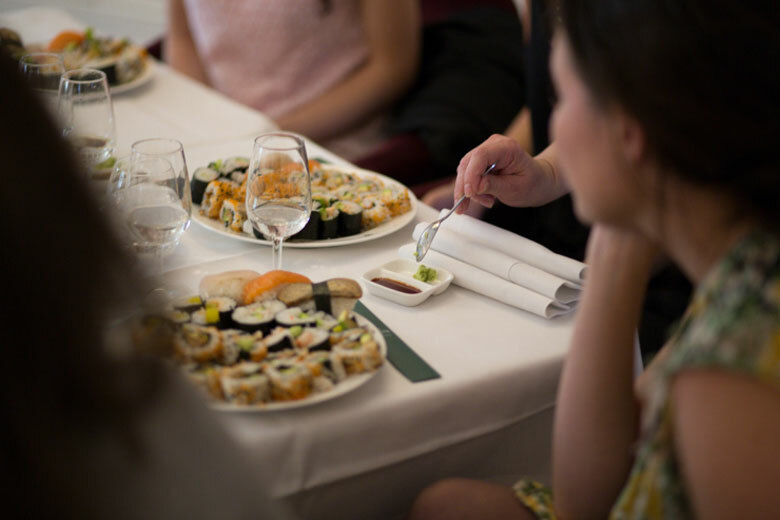 She has worked with such celebrities as John Torode and Gino D’Acampo, trained Le Cordon Bleu chefs, and consulted at restaurants around the world as they introduce sushi options to their menus. 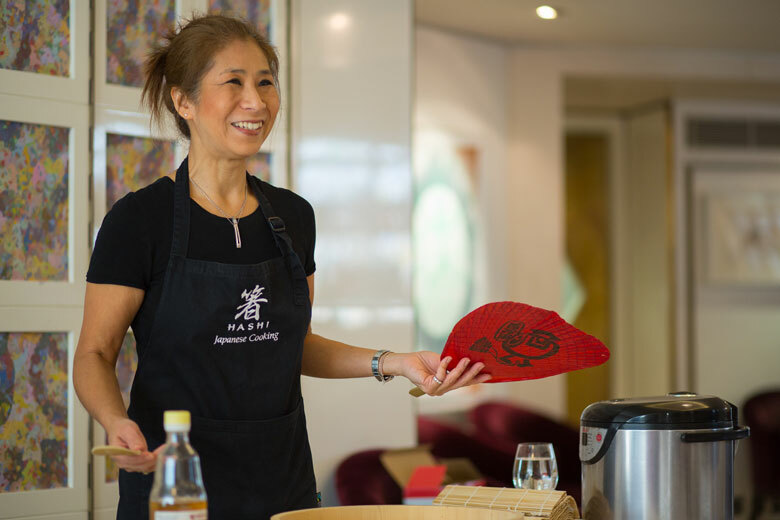 She has also run her Japanese cookery school for 12 years and penned the revered cookbook Hashi: A Japanese Cookery Course. Born in Kyoto, she brings to her classes not only her culinary expertise, but also her broader cultural knowledge, which helps shed light on the customs surrounding sushi: the best drinks pairing (“Tengu Sake”), the awe surrounding sushi masters (“watch Jiro Dreams of Sushi”), and what sushi to eat when – and where. Japanese food has come a long way in Britain in recent years. Not so long ago it was almost unknown here. (Watch this episode of Floyd on Fish from the 1980s, for example.) Now sushi snack boxes are part of the Boots Meal Deal and YO! Sushi has exploded on to the high street nationwide. Nevertheless, few of us ever attempt to prepare sushi at home. It’s a different story with maki: stuffed sushi rolls. Reiko explains that it’s perfectly usual for a home cook to rattle out a few expertly made rolls, which are then cut into six or eight pieces, quickly creating a delicious and varied meal. 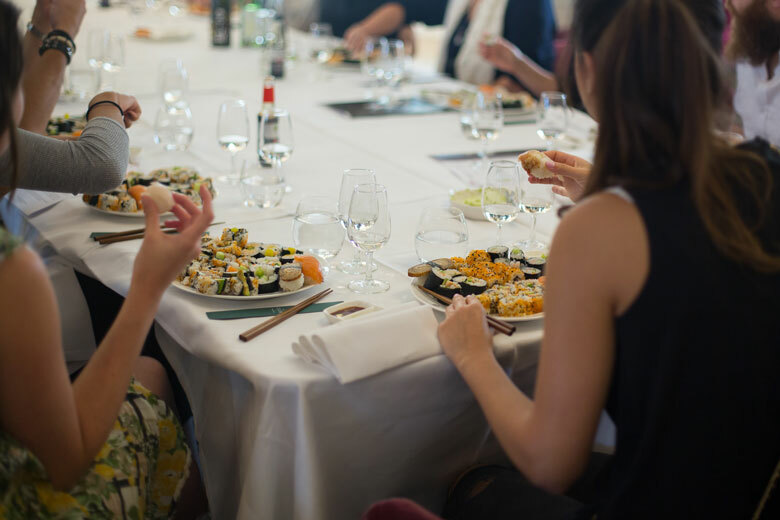 This is what we’re all here to learn how to do, with the aim of putting together a sushi platter that we can recreate at home. “All good sushi starts with the sushi rice,” Reiko begins. The aim is to get a sticky consistency: the rice should hold together, but the grains should still be discernable, rather than being compacted into a mush. Reiko starts the demonstration by tipping a pre-cooked pot of short-grained sushi rice into a wooden bowl called a hangiri, and then pouring in a mug of sushi vinegar, which the rice absorbs as it cools, giving it a unique sushi rice flavour. The traditional hangiri looks like a shallow, wooden barrel. 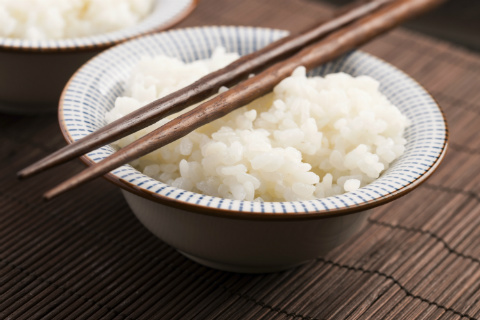 But though it might look basic, it’s vital to making authentic sushi rice. A stainless steel or ceramic bowl would trap the heat coming from the steaming rice, creating condensation that would change its texture. The wooden bowl allows the heat to escape, while also absorbing excess moisture, helping to achieve that all-important sticky-dry result. There’s a bowl of rice on each workbench. Before we start handling it, we plunge our hands in cold water to stop the rice from sticking to our hands too much. 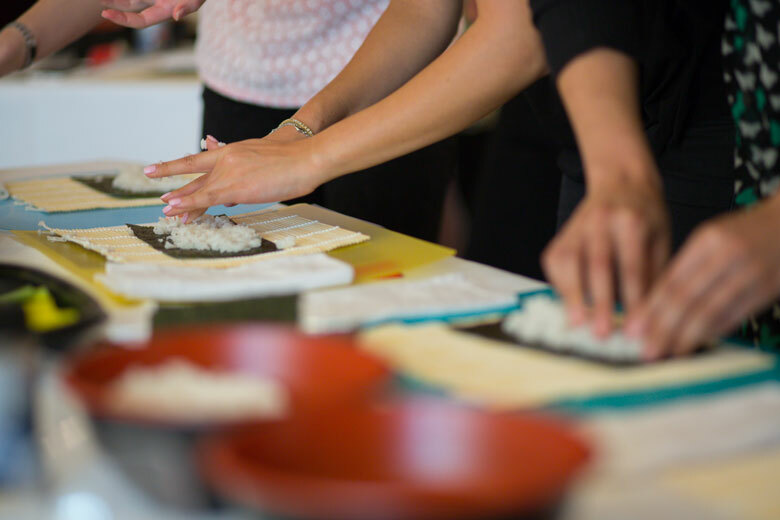 Then we follow Reiko’s lead, trying to use our fingertips to deftly pick at the rice rather than using the whole hand to move it from the bowl on to the nori sheet. Once the sheet is covered in a layer of rice, it’s time to turn to the buffet-choice of fillings. Pickled vegetables such as daikon and smoked fish paste are popular maki fillings: these can be kept at room temperature for a few hours, along with the sushi rice, which is pickled in the sushi vinegar. We choose a combination of two or three fillings and attempt our first roll. While some make a pretty impressive maki on their first attempt, my greedy nature means I’ve stuffed mine with too much rice, which prevents the two ends of nori wrapper from meeting. But as the morning goes on, even my rolls start becoming more and more uniform. Reiko moves between the workbenches, rescuing failed attempts and lightly twirling the bamboo mats to demonstrate perfect rolls. 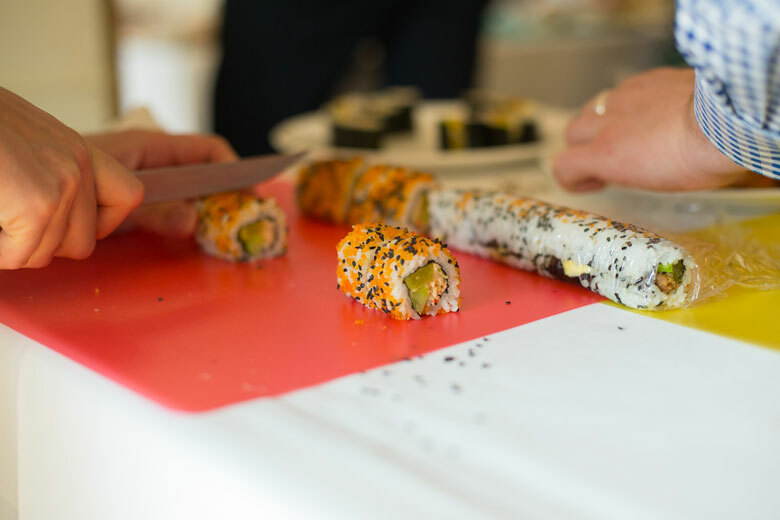 As we start to get the hang of a basic roll, she starts introducing new ingredients and techniques, such as the black sesame and orange roe on a California roll, and the ura maki zushi, or inside-out roll. As the class comes to a close, I arrange my sushi on a platter, and take it to a table that has been laid out for our banquet. Despite definite improvement, I’ve still got a long way to go: there’s little uniformity and few sharp edges – but each little mouthful tastes delicious. As Reiko pours us all a glass of sake, we start to formulate plans for sushi parties in the future. “It seems easy when all the ingredients are laid out in front of us, but where do we find fish which is fresh enough to make sushi at home?” asks one of the group. Reiko explains that it’s down to a good relationship with a trustworthy fishmonger, who stocks the freshest of fresh fish. But freezing can be handy too, she says. “I always buy a whole fish, because it’s far cheaper. Then I fillet, double-wrap the fillets in cling film and freeze it straight away.” But, she adds, the fish should always be defrosted in the fridge, not left on the side. 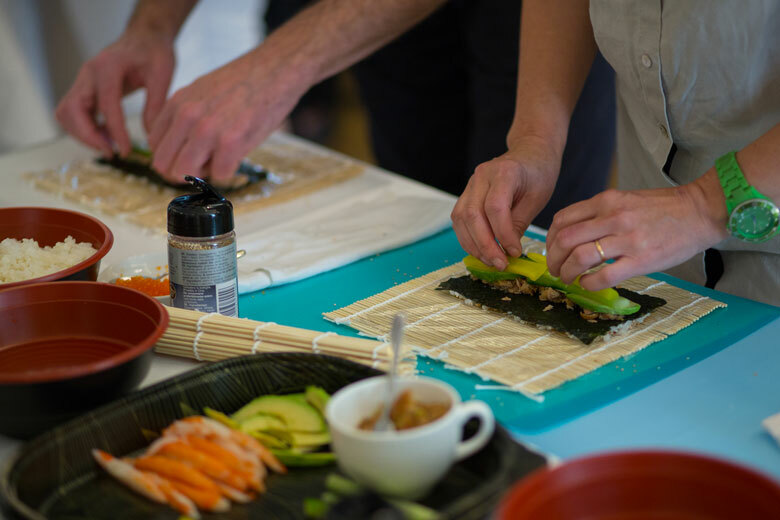 For more information on Reiko Hashimoto’s sushi classes, visit: hashicooking.co.uk. All good sushi starts with the rice. So follow this recipe by Reiko Hashimoto for a sweet-sharp vinegar and perfect consistency: sticky enough to hold together, but with all the grains still discernible. 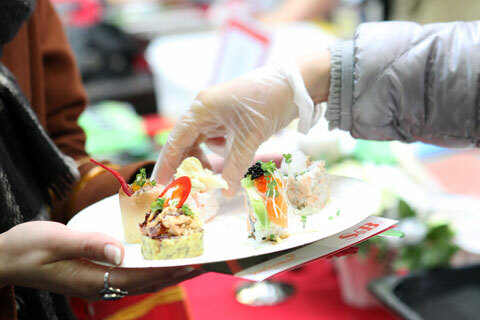 Rachel Walker visits the annual Sushi Awards at a mobbed Hyper Japan Christmas Market to find out what it takes to be a sushi champion.